Let’s face it, no visit to Chicago is complete without stopping for a few tasty treats to make your day a little bit sweeter. Friends who visit me in Chicago are always looking for unique places to stop and satisfy a sweet tooth while exploring the city. 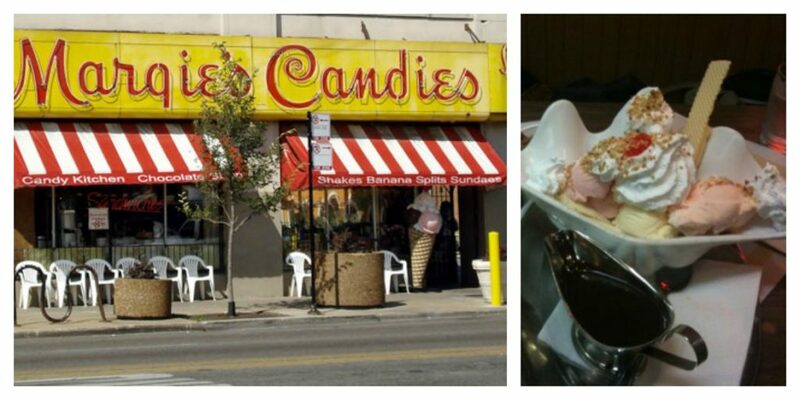 Margie’s Candies serves the best homemade ice cream sundaes and milkshakes in Chicago. For more than 90 years Margie’s has been drawing celebrities like Al Capone, The Beatles, and The Rolling Stones who fall in love with the homemade ice cream treats. Order a Jumbo Turtle Spit or make your own sundae with scoops of mint chocolate chip, butter pecan, and New York cherry doused in hot fudge and caramel- you’ll thank me later! A stop at Sweet Mandy B’s is a must for anyone who craves old fashioned cupcakes. Pop in to order a variety of cupcake flavors and stay for the delicious cookies and muffins. My 2 favorite cupcakes are yellow cake with chocolate frosting and the banana chocolate chip cupcakes with chocolate frosting. YUM! Serious Chicago chocolate enthusiasts know that Chocolate at the Pen is the most decadent way to spend a Friday or Saturday night in the city. 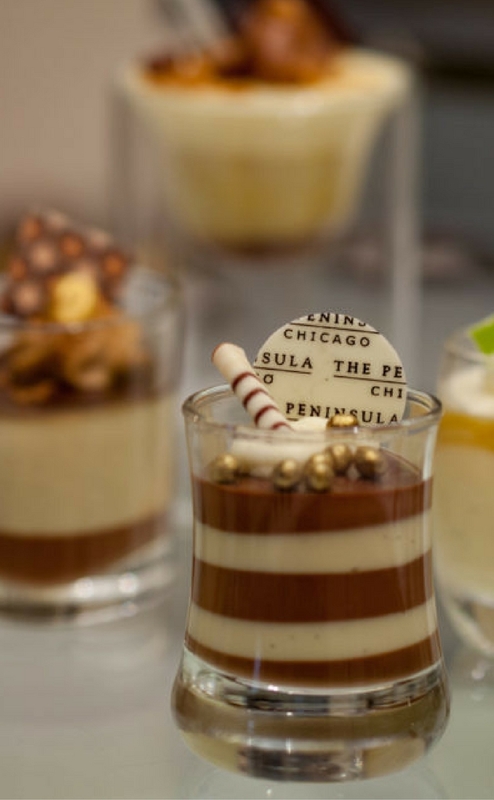 Dress up in your swanky weekend best and head over to The Lobby restaurant in The Peninsula Chicago Hotel. 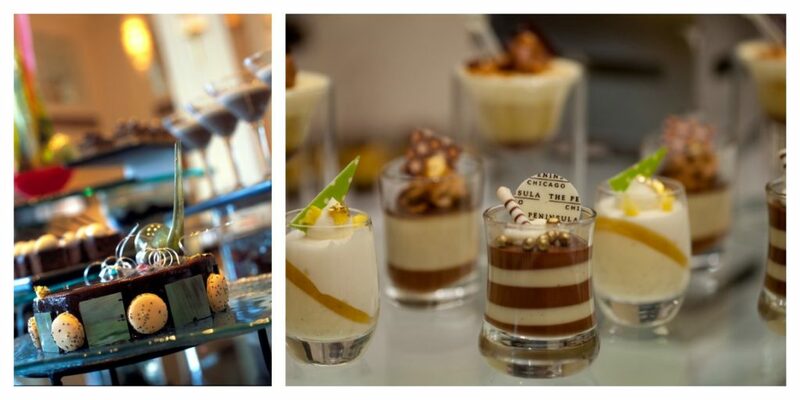 Plan to toast with pair of chocolate martinis while you savor your haute chocolate heaven dessert bar experience. C’est magnifique! Iron Chef Rick Bayless’ quick serve Xoco is the place to go if you love hot made-to-order churros. Try a pistachio, hazelnut, or chocolate-peanut glazed. I like to order my Churros topped off with a bean-to-cup chocolate shot for dipping sauce. Delicious! Since 1963 Fudge Pot Chicago has been serving up the best chocolate dipped candies, English butter toffee, and fudge in Chicago. 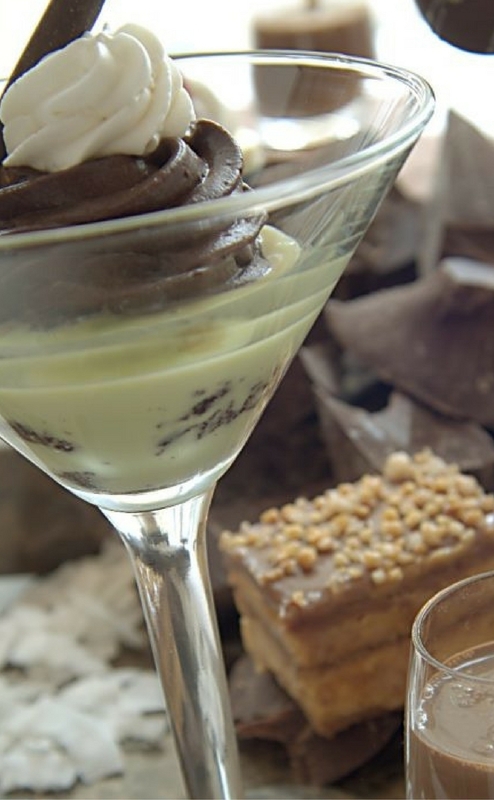 The toffee is considered by many to be the best in the city. I always pop in and order the chocolate dipped strawberries – best I’ve ever had! James Beard Award winning pastry chef Mindy Segal has a menu filled with mouthwatering desserts and hot chocolates topped with house-made marshmallows at Mindy’s Hot Chocolate. I recommend ordering up some Mindy’s donuts and dunking them in a hot steamy mug of affogato hot chocolate. Heavenly! The best cookies I’ve found in all of Chicago are on the pastry bar at Beatrix. You seriously can’t go wrong with any of them. My faves are the butterscotch topped with sea salt and the peanut butter cookies. SO GOOD! 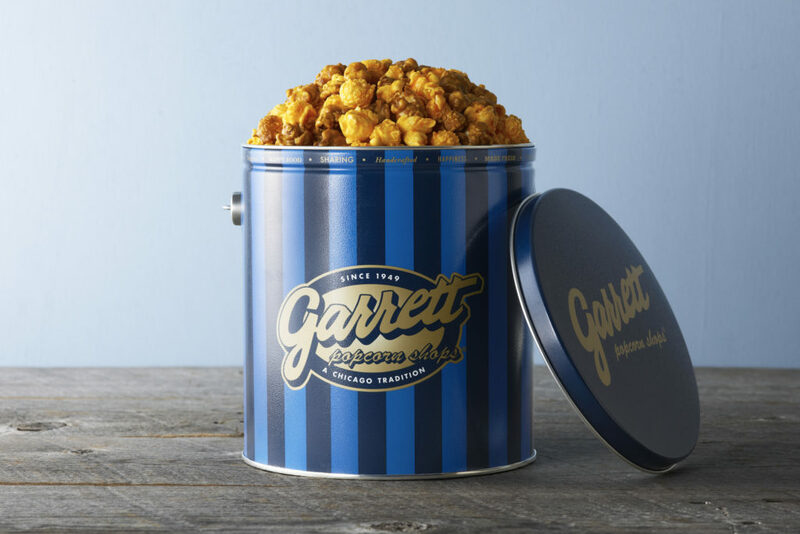 Garrett Popcorn is probably the most famous and most popular Chicago treat. Every popcorn lover visiting Chicago owes it to themselves to stop by this iconic Chicago treasure and see what all the fuss is about! If you love sweet and savory treats order the Garrett Mix a combination of sweet CaramelCrisp and savory CheeseCorn – our family favorite! Click Here: Read about the WellTraveledKids.com sponsored field trip for special needs Chicago kids to check out a famous Chicago sky scraper and end the day with a trip to Garrett Popcorn! 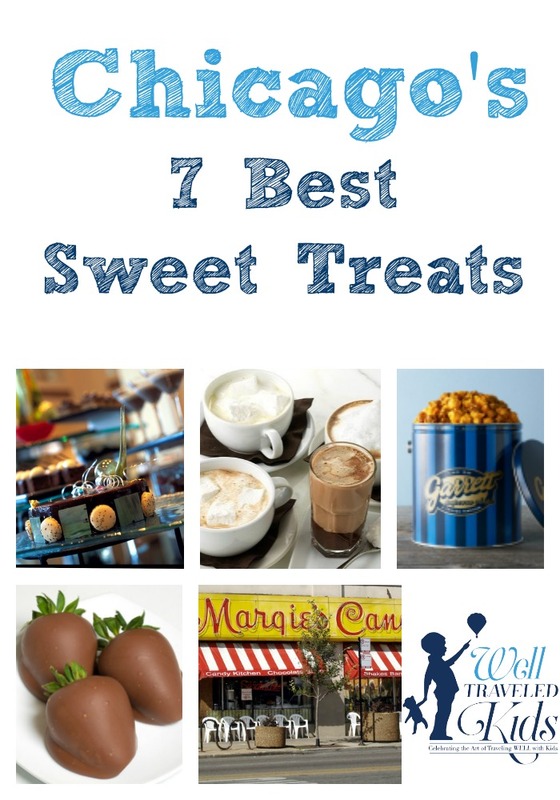 All of the yummy dessert spots that I’ve recommended above are truly my favorite Chicago spots. I’ve received no compensation or free goods in return for these endorsements. 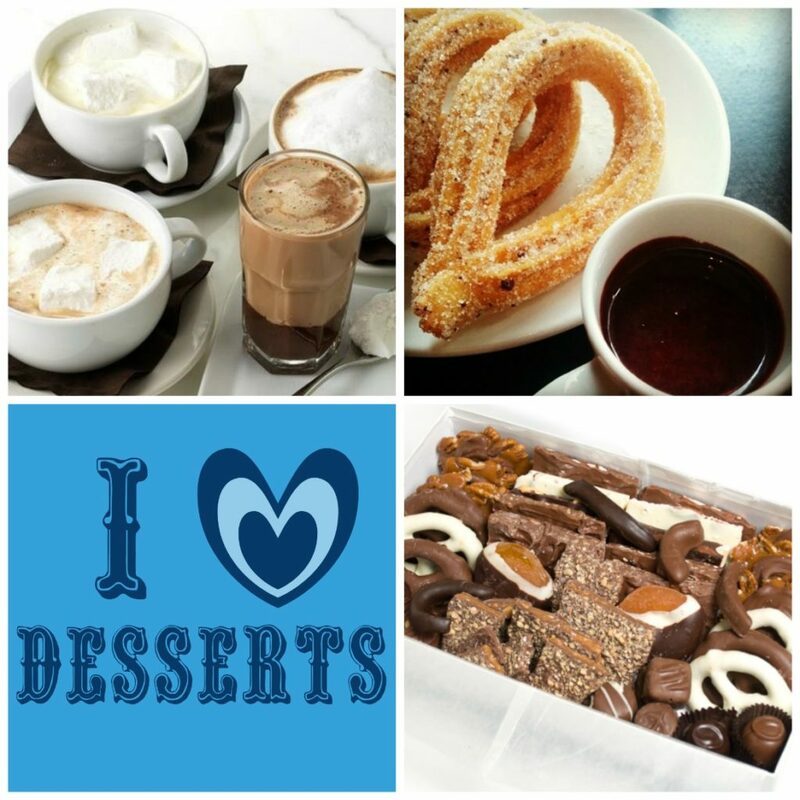 Photos courtesy of Margie’s Candies, The Peninsula Chicago Hotel, Xoco, Fudge Pot Chicago, Mindy’s Hot Chocolate, and Garrett Popcorn.